Tense, minimal D&B steppers. 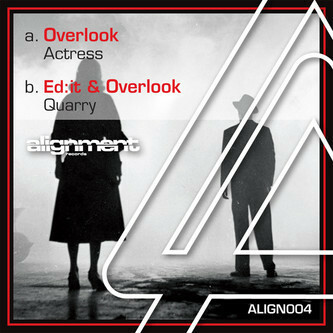 Overlook's 'Actress' arrives with mystical intro and soon enough turns into a pressurised stepper with dark atmosphere. Linking with Midlands-based producer Ed:it, the pair shake out a deft and eerily spacious quickstepper on the flip. Support from Loxy, Skeptical, Foreign Concept, Presha, Amoss, DBR UK.